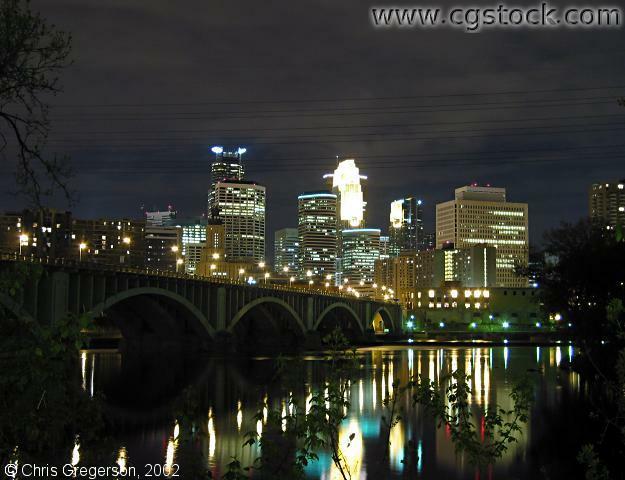 You are on the east bank of the Mississippi River looking southwest at the downtown Minneapolis skyline. The 3rd Avenue bridge is visible on the left. The Mississippi River is reflecting the lights from downtown. This photograph was taken with a Canon G2 digital camera with a 10 or 15 second exposure (using the camera's manual mode). The ISO was set to 50 with a custom white point.